Announced on the longest day of the year, a life-member of the Campaign for Borders Rail plans to undertake the longest cross-border rail journey in the UK, to connect with communities from North East Scotland to South West England in an epic effort to raise awareness of what can be achieved together, no matter what the cause may be. On Monday, July 16, John “Kim” Elliot will board the early morning rail service, provided by operator CrossCountry, at Aberdeen. He’ll undertake the 785-mile trip to Penzance, making 43 stops along the way, in the course of the thirteen and a half hour journey. As a tangible contribution to the community at large, Kim is raising awareness for Alzheimer’s Research UK fight the condition that leaves sufferers disconnected from their friends and families. His fundraising is already underway at uk.virginmoneygiving.com/JohnElliot2. The journey is symbolic of the way rail services make collaboration between communities possible. 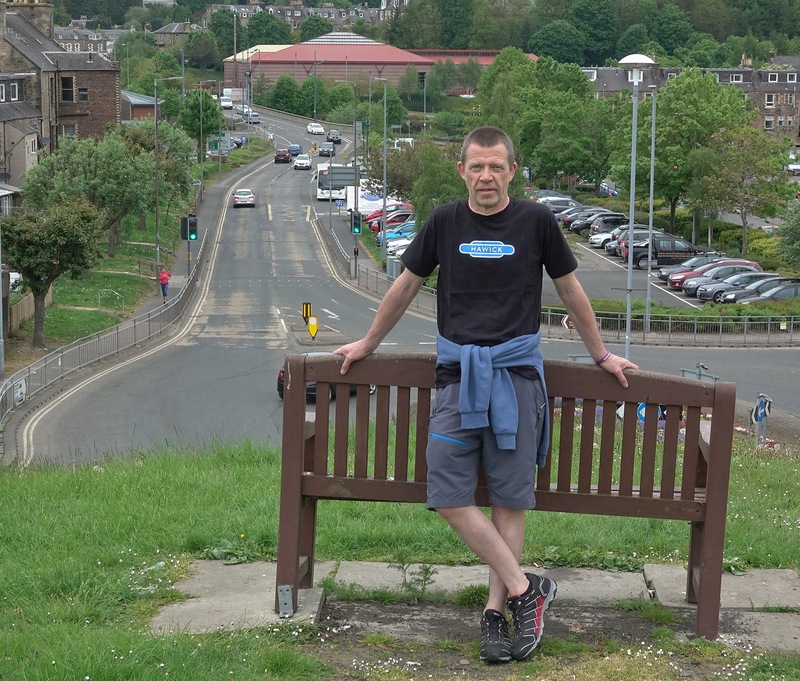 The timing of the journey is symbolic of the day that severed that connectivity for many, including Elliot’s own community of Hawick. In 1968, 11-year-old Kim was part of a delegation that marched on 10 Downing Street to deliver a petition to Harold Wilson, Prime Minister of the day, demanding a reprieve for the impending closure of the 98-mile long main line railway running from Edinburgh Waverley through Midlothian and the Scottish Borders to Carlisle Citadel. The line, known as the Waverley Route, was a lifeline to communities large and small, all of which were cut out of the railway network, and lost out on generations of economic regeneration, when the axe fell six months later. Many places, including the once prosperous mill-towns of Galashiels and Hawick have declined dramatically in the five decades since then. Elliot’s mother, Madge, led the petition in late 1968, and has remained an active campaigner ever since, though she has now been forced into retirement by the onset of Alzheimer’s Disease. His mother’s enforced decline was the inspiration behind Kim’s forthcoming effort to raise awareness for the Campaign his mother inspired, and to prove that much can be achieved when communities are connected together. “It promises to be some journey, but the memory of that black day in 1968 – Monday, July 15 – should never be forgotten,” said Kim, emphasising that by remembering what has been lost, keeps alive the ambition to return services and connection to communities isolated by the closure. “It is an ironic parallel of the disability of Alzheimer’s Disease,” he said. “It’s a disability of disconnection and, if we can all work together to do something to put right the disconnection suffered by the Borders, and suffered by those afflicted by Alzheimer’s Disease, then we can prove that connected communities do have common purpose that’s made possible by the ability to worktogether. raising money and awareness for Alzheimer’s Research UK (via uk.virginmoneygiving.com/JohnElliot2). In addition to experiencing the UK’s longest continuous train journey between Aberdeen and Penzance, which remains the expedition’s central plank, he hopes to walk from John O’Groats to Thurso and Penzance to Land’s End to top-and-tail the trip. The missing link between Thurso and Aberdeen will be negotiated by boarding the only Sunday train service running from Thurso to Inverness before connecting with an early-evening ScotRail service from Inverness to Aberdeen (Dyce). Kim Elliot is available for comment, interview and photo opportunity, before or after the rail elements of his journey. Contact Mr Elliot directly on 07762 755741. Please note that this press release does not sanction any media activity around the railway network. Any such activity must be agreed with the relevant owners and operators. In case you missed it: uk.virginmoneygiving.com/JohnElliot2. Does Kim stop in your community? The CrossCountry timetable for the direct 0820 Aberdeen to Penzance service.